Pure Silver Digital Cable For under £220! Oyaide’s DR-510 and DB-510 supply excellent quality. 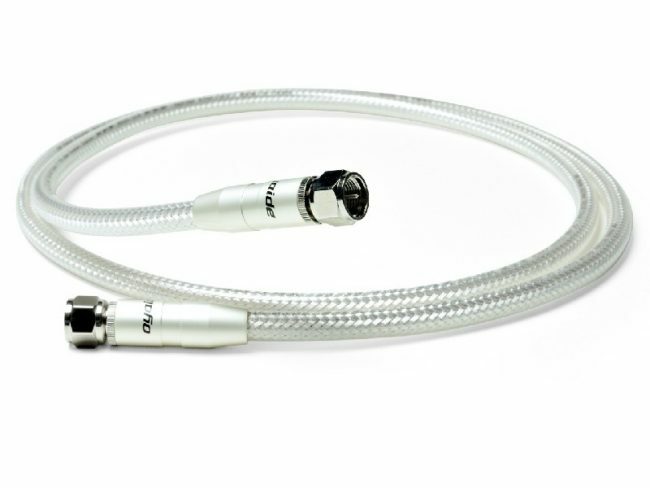 Oyaide DR-510 and DB-510 pure silver digital cables, available from Mains Cables R Us with either phono or BNC connectors; please specify when ordering. “In order to maximise the potential of material, we believe that it is necessary to have the highest level of technology and method on the basis of the experience and the data. We conceived of the idea of making a cable using pure silver which has the highest electrical conductivity of all metals. The FTVS-408, a coaxial cable, was designed to be mainly used for digital signal transmission. Although it was produced as a limited production model, it became a regular product in our line-up due to strong to customer demand. Doing further validation of FTVS-408, we devoted much energy to providing the finest 5N silver and researching the perfect insulator and shield for the silver conductor. As a result, we produced the FTVS-510, which was designed to be used for antenna, sound and digital signal transmission. To enhance electrical conductivity of connectors as well as cable, we attached SLSC and SLSB with pure silver contacts for perfect signal transmission by pure silver. DR-510 / DB-510 represent the ultimate purity and transparency that we have pursued for the finest digital cable. For the core of FTVS-510, 5N (99.9995%) pure silver is installed. After being melted in a ceramic crucible, it is moulded into 15mm diameter round bars. It is further reduced in diameter by means of 19 repetitions of the cold-rolling process. When signal flows in a cable, it generates ultra-weak vibration that causes the discharge of an electric corona. In order to solve this problem, we installed Carbon PE as a semiconductor layer. By surrounding just the outside of the first insulation layer, its semiconductor layer helps to discharge static build-up from the Teflon layer in an orderly fashion. Although the conductor is the most important factor in signal transmission, the insulator is also significant in enhancing the transmitting capabilities of the cable. For the purpose of lessening signal loss, we employed FEP (Teflon) which provides excellent electrical isolation and low electric permittivity. For the first insulation layer, we selected PE (Polyethylene) which keeps permittivity to a minimum and enhances the flexibility of the cable. This layering of these different materials not only enhances the conductor’s electric capabilities but also attenuates internal vibration by altering the resonance point. The ultra-silent background of the FTVS-510 is provided by a triple-layered shielding structure. The first semiconductor layer attenuates static noise and electric micro-waves. The second copper foil shielding protects against high-frequency noise. The third, silver-plated mesh shielding, protects against low-frequency noise. It also protects against high-frequency noise by means of the skin effect on the silver plating.